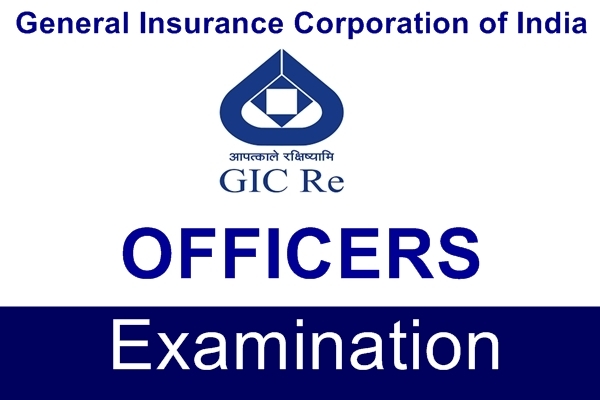 A combined competitive examination for recruitment to the posts, of Assistant Administrative Officer (Generalist) in the General Insurance Corporation of India, i.e., (i) National Insurance Company Ltd., Calcutta; (ii) The New India Assurance Company Ltd., Mumbai; (iii) The Oriental Fire and General Insurance Company Ltd., New Delhi; and (iv) United India Insurance Company Ltd., Chennai, is held every year generally in the month of February. Graduate/Post-Graduate in Arts, Science, Agriculture, Commerce, Engineering or Law of a recognized University with 50% marks (relaxable in the case of Scheduled Castes/Tribes at 40%). Between 21 and 30 years on the 1 st October of the year previous to the year of examination. The limit is relaxable in respect of the candidates belonging to SC/ST/OBC, ex-servicemen and serving confirmed employees of G.I.C. On the basis of performance in the written examination, candidates will be called for interview and the final selection will be on the basis of overall performance in the written test and the interview. About Rs. 8000 in the scale of Rs. 4250-230-4940-350-5290-230-8510.